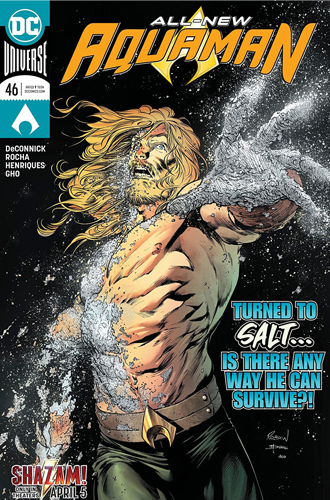 In stores Wednesday, March 20: AQUAMAN #46! Part 4 of the 5-part UNSPOKEN WATER story. Words by Kelly Sue DeConnick! Pencils by Robson Rocha! Inks by Daniel Henriques! Colors by Sunny Cho! Letters by Clayton Cowles!